One of the UK’s most historic stations, King’s Cross has been the gateway to London for countless visitors over its 162 year lifespan. Since first opening in 1852, the station has been the terminus of the East Coast Main Line and the Great Northern, welcoming travellers with its majestic Victorian architecture and location in the heart of the city. 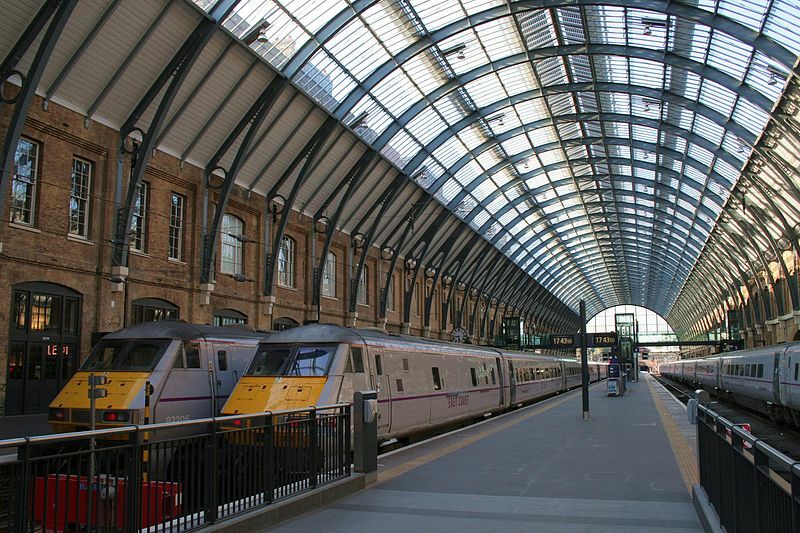 King’s Cross is also one of the UK’s busiest train stations, with up to 30 million entries and exits each year. It became obvious that a modern strategy was required to help manage the modern foot traffic, so plans were made to update the station’s facilities and layout, while remaining true to its iconic appearance. The ambitious project also looked to meet progressive carbon footprint guidelines that would help to minimise environmental impact and reduce running costs. Now, almost three years on from the overhaul, King’s Cross has continued to host record numbers of passengers on their way in and out of the capital. The two major parts of the refurbishment plans were the restoration and re-glazing of the original dual-arched roofs, as well as the building of a new concourse to accommodate the station’s departures. The restoration work on the train shed roofs was completed in March 2012, while work continued on installing a solar energy system that would generate an impressive 10% of the station’s total energy requirements. The development took place in challenging circumstances, with work taking place over live train lines and on a large rolling scaffold that moved around the platform as visitors to the station walked by. The technology behind the system was provided by North East firm Romag, whose cutting-edge building-integrated PV tiles were used to cover 2300 square metres of the roof. For visitors admiring the restoration, it is difficult to notice the tiles, which were custom-built to remain inconspicuous within the design of the grade 1 listed building. Romag worked in partnership with Sundog, and in collaboration with Kier and Northern Rail to fit 1,392 tiles that will generate 175,000 kWh of electricity and save over 100 tonnes of C0₂ emissions per annum. The system was switched on in September 2012, and is the perfect example of the station redevelopment project’s dedication to becoming more environmentally friendly without infringing on the building’s historic design. With the station accommodating so many visitors each year, and the numbers predicted to increase, it was important to develop an environment that could handle large numbers of people as well as giving them a comfortable place to pass the time before their train arrived. Designed by architect John McAslan, the vision for the new concourse was a large, web-like structure that would prove to be a thing of both beauty and practicality, bringing together striking looks with the ability to get people to where they were going more quickly and freely than ever before. The new development was built by Vinci in a space to the west of the station, and was fast-tracked to be finished ahead of the London 2012 Olympics, as the event would see a huge spike in the number of visitors to the city. The new structure boasts greater integration between the intercity, suburban and underground sections of the station, and provides better links to nearby St. Pancras station. The concourse also houses a huge range of retail and dining options, as well as catering for the many Harry Potter fans with a replica ‘Platform 9¾’ and store selling merchandise. Since 2012, passengers have been able to experience a station with improved access and passenger flow, and a greener and more energy efficient outlook. Thanks to the work, London’s premier train station can count on continued success for years to come.